Gone are the days when home recording was limited to four tracks of tape hiss on a cassette porta-studio. Now, limitless digital multitrack recording and a vast array of outboard effects and processors are available to anyone witha computer. Add a few other essentials such as a microphone, some headphones & monitors, and you've got a home studio capable of making professional recordings worthy of airplay and release. What you might not have is the know-howto harness all that vast potential ... which is where the Home Recording Handbook comes in. In this latest entry in Backbeat's best-selling handbook series, author Dave Hunter shows you how to make pro-soundingrecordings without pro budgets. 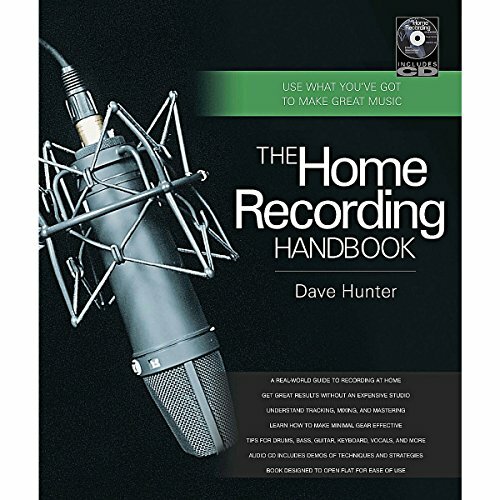 Packed with tips and techniques born out of years of recording experience, supported by specially recorded audio tracks on the accompanying CD, this is an essential volume for the working musician.